She was the eldest daughter of the Prophet Mohammad (Sallallaho Alaihe Wasallam) and was born in the fifth year of his first marriage, when he was thirty. She embraced Islam and was cousin married to her cousin Abul Aas bin Rabi. The story of her emigration to Madinah and her getting wounded by the Qureysh has already been given in the early part of this chapter. She suffered long from that wound, and at last died of in the beginning of 8 A. H, Her husband also embraced Islam later and joined her in Madinah. She had a son Ali (Radhiyallaho anho), and a daughter Amamah. 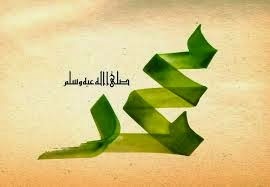 Ali died during the lifetime of the Prophet Mohammad (Sallallaho Alaihe Wasallam) . This same Ali (Radhiyallaho anho) was the person who sat with the Prophet Mohammad (Sallallaho Alaihe Wasallam) on the camels back at the time of his triumphal entry into Mecca. We read frequently in Hadith about a little girl riding on the back of the Prophet Mohammad (Sallallaho Alaihe Wasallam) as he prostrated in Salaat; this was Amamah, Zainab’s (Radhiyallaho anha) daughter. Amamah lived long after the death of the Prophet Mohammad (Sallallaho Alaihe Wasallam) . Ali (Radhiyallaho anho) married her on the death of Fatima (Radhiyallaho anha) -his first wife. It is said that Fatima (Radhiyallaho anha) at the time of her death had expressed a desire for this union. She had no issue from Ali (Radhiyallaho anho). After Hadhrat Ali 's (Radhiyallaho anho) death she was again married to Hadhrat Mughirah bin Naful (Radhiyallaho anho), from whom she probably got one son named Yahya. She died in 50 A. H.
They divorced their wives. Later, upon the fall of Mecca, Utbah embraced Islam. Hadhrat Ruqayyah (Radhiyallaho anha) after this divorce was married to Hadhrat Usman (Radhiyallaho anho). The couple emigrated to Abyssinia twice. Since the Prophet Mohammad (Sallallaho Alaihe Wasallam) had anounced to the Sahabah that he was expecting to recieve Allah's command for emigration to Madinah any time, they started shifting to Madinah even before the Prophet Mohammad (Sallallaho Alaihe Wasallam) Hijrat. Hadhrat Usman (Radhiyallaho anho) and Hadhrat Ruqayyah (Radhiyallaho anha) had also emigrated to Madinah before the Prophet Mohammad (Sallallaho Alaihe Wasallam) arrived in the town. At the time of Badr, Hadhrat Ruqayyah (Radhiyallaho anha) was ill (she died subsequently of this illness). Usman (Radhiyallaho anho) was, therefore, asked by the Prophet Mohammad (Sallallaho Alaihe Wasallam) to stay in Madinah and look after her. The news about the victory in Badr was received in Madinah when people were returning from Ruqayyah’s (Radhiyallaho anha) funeral. The Prophet Mohammad (Sallallaho Alaihe Wasallam) was, therefore, not present at her burial. A son was born to Hadhrat Ruqayyah (Radhiyallaho anha) in Abyssinia. He was named Abdullah and survived his mother, but died in 4 A. H. when he was six years old. She is the third daughter of the Prophet Mohammad (Sallallaho Alaihe Wasallam) . She was married to Utaibah son of Abu Lahab, but had not yet started living with him when Utaibah divorced her after the revelation of Soorah Al-Lahab, as has already been mentioned. After divorcing her, Utaibah came to the Prophet Mohammad (Sallallaho Alaihe Wasallam) and used most insolent words to him. The Prophet Mohammad (Sallallaho Alaihe Wasallam) cursed him by praying: “O, Allah! depute one of Thy dogs to punish him." Abu Talib, who had also not embraced Islam, was alarmed at the curse and said to Utaibah: “You have no way out now." Once Utaibah was accompanying Abu Lahab in a caravan going to Syria. Abu Lahab, in spite of his disbelief, said to the people: “I am afraid of Muhammad's curse. Everybody should be very careful of my son." After the death of Hadhrat Ruqayyah (Radhiyallaho anha), Hadhrat Umme Kulsum (Radhiyallaho anha) was also married to Hadhrat 'Usman (Radhiyallaho anho) in Rabi-ul-Awwal, 3 A.H. The Prophet Mohammad (Sallallaho Alaihe Wasallam) said: “I have given Umme Kulsum in marriage to Usman by command." She died issueless in Shaaban, 9 A. H. After her death, the Prophet Mohammad (Sallallaho Alaihe Wasallam) is reported to have remarked: “Even if I had one hundred daughters, I would have given all of them in marriage to 'Usman (one after the other), if each one had died." Hadhrat Fatimah (Radhiyallaho anha) the fourth and the youngest daughter of the Prophet Mohammad (Sallallaho Alaihe Wasallam) , and the "head of the ladies in Paradise" was born in the 1st year of Nubuwwat, when he was 41. It is said that the name Fatimah (lit: safe from fire) was revealed by Allah. She was married to Ali (Radhiyallaho anho) in 2 A.H. and she began to live with him seven and a half months later. She was about fifteen and Ali was 21 at the time of their union. Of all the daughters, she was the most loved by the Prophet Mohammad (Sallallaho Alaihe Wasallam) ; whenever he went out on a journey, she was the last one to part and when he returned home she was the first one to meet him. When Ali (Radhiyallaho anho) intended to marry Abu Jahal's daughter, she was very much grieved and expressed her grief to the Prophet Mohammad (Sallallaho Alaihe Wasallam) . The Prophet Mohammad (Sallallaho Alaihe Wasallam) said to Hadhrat Ali (Radhiyallaho anho): "Fatimah is a part of my body. Whoever grieves her, grieves me." Ali (Radhiyallaho anho) gave up the idea of the second marriage during her life time. After her death, he married her niece Amamah (Radhiyallaho anha). It was about six months after the death of the Prophet Mohammad (Sallallaho Alaihe Wasallam) that Hadhrat Fatimah (Radhiyallaho anha) fell ill. One day she said to her maid: "I want to take a bath. Arrange some water for me." "I am now going to die." The next moment she was no more. The Prophet Mohammad's (Sallallaho Alaihe Wasallam) progeny continued and shall continue (inshallah) through her children. She had three sons and three daughters. Hadhrat Hasan (Radhiyallaho anho) and Hadhrat Hussain (Radhiyallaho anho) were born in the second and the third year after the marriage, respectively. Hadhrat Muhassan (Radhiyallaho anho), the third son, was born in 4 A.H., but died in childhood. Ruqayyah, her first daughter, died in infancy and has therefore, not been mentioned much in history. Her second daughter Umme Kulsum was first married to Hadhrat Umar (Radhiyallaho anho), begetting one son Zaid and one daughter Hadhrat Ruqayyah (Radhiyallaho anha). On Hadhrat Umar’s (Radhiyallaho anho) death, Hadhrat Umme Kulsum (Radhiyallaho anha) was married to Aun bin Ja’far (Radhiyallaho anho), but had no issue from him. After his death, his brother Muhammad bin Ja’far (Radhiyallaho anho) married her. A daughter was born to them, who died in childhood. Even Muhammad (Radhiyallaho anho) died in her lifetime and she was again married to the third brother, Abdullah bin Ja’far (Radhiyallaho anho), from whom she had no issue. She died as Abdullah’s (Radhiyallaho anho) wife. Her son Zaid also died the same day, and both were carried for burial at the same time. Abdullah, “Aun and Muhammad (Radhiyallaho anho) have already been mentioned as sons of Ja’far (Radhiyallaho anho) and nephews of Ali (Radhiyallaho anho). Zainab, hadhrat Fatima’s (Radhiyallaho anha) third daughter, was married to Abdullah bin Ja’far and had two sons Abdullah and Aun from him. It was after her death that he married her sister Hadhrat Umme Kulsum (Radhiyallaho anha). Hadhrat Ali (Radhiyallaho anho) had many other childrem from his wives after Fatimah (Radhiyallaho anha). It is stated that he had as many as thirty-two issues. Hasan (Radhiyallaho anho) had fifteen sons and eight daughters, while Husain (Radhiyallaho anho) was the father of six sons and three daughters.